The strength of experience! - The reputation for results! Real Estate broker and founder of Northern Trust Real Estate, Pat Baker has the experience and knowledge to help you find the property you are looking for. Pat is committed to giving her clients top-notch customer care and excels in matching people to whatever they are looking for. View Pat's listings for residential, commercial and income properties in Anchorage, the Mat-Su Valley and other Alaska locations. Looking for a home to buy in Anchorage, Eagle River, the Mat-Su Valley? Pat Baker has 30 years of Real Estate experience to help you find the perfect Anchorage home for sale. Are you looking to rent, purchase or sell Commercial Real Estate? Pat can help you find the right property to fit all your needs or the right buyer to take over your Commercial space. Looking to buy or sell Anchorage land for residential or commercial property? Pat Baker has 30 years of experience to assist your Alaska land sales and purchases. Multi-Family Income Properties are a great way to add to your Real Estate Portfolio. Whether buying or selling a Multi-Family Property Pat's expertise in seeing the potential and value of Multi-family Properties will be to your advantage in your search for a new Real Estate Investment or buyer. Search for property listings throughout Anchorage, the Mat-Su Valley and the Kenai Peninsula for the real estate property you are looking for: homes, townhomes, condos, land, income property, commercial property. Pat knows the ins and outs of selling a property and she can guide you through the selling process while keeping you informed and protected. Call Pat today to speak with her about your property and your specific needs as a seller! Pat can help you through the buying process while keeping you up to date and feeling confident of your purchase. 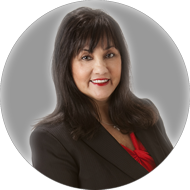 Pat has vast experience pairing buyers with the right property and she has the skill and ability to keep your transaction as hassle free as possible. Pat can help you with all of your Property Management Needs. Her Property Management Company - Northern Trust Real Estate Property Management Division - is a full service Property Management company that can help renters find their dream homes and owners manage their properties efficiently and profitably. ith over 30 years of Real Estate, Finance and Construction Experience, Pat Baker is both experienced and knowledgeable in all facets of Real Estate. Pat's expertise extends to Residential, Commercial, Land Sales, Multi-Family, New Construction and Property Management. Pat has made a commitment to treat each transaction with care and skill in order to make the buying or selling process as easy and complication free as possible.